There is no industry more rife with buzzwords than that of the tech world. With that being said, many folks are starting to notice a trend in the frequency of one particular term: Z-Wave technology. Z-Wave is the new kid on the block in terms of wireless communication, but many information transmission experts are starting to champion it as the new way for mobile and wireless communication. Today, let us take a close look at Z-Wave technology and how well it compares to one of the industry staples — Bluetooth. Z-Wave is not a household name yet but thanks to the hard work of developers, particularly in the home security field, this is going to be changing very shortly. For those not in the know, Z-Wave is a new technology that was originally created in Copenhagen, Denmark in the year 1999. Z-Wave is a mesh transmission technology that allows devices to communicate wirelessly through RF waves. Z-Wave is interoperable which allows consumers to mix and match products together — thus giving them the ultimate freedom. The primary benefit of Z-Wave technology is that consumers are getting a new era of interoperability. Customers want to know that they can mix and match products so as to get something that is uniquely tailored to their needs. 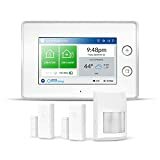 Look at the many home security products like Alexa Z-Wave that are available at the time of this writing. These devices all communicate and operate together thanks to the flexibility of Z-Wave tech. Let’s look closely at a few other benefits that Z-Wave technology can offer. Flexibility – Z-Wave is a broad-use technology which means that it is flexible to use with thousands of products. Efficiency – Operating at 908.42 MHz means that there is no interference with WiFi or 2.4Ghz devices. 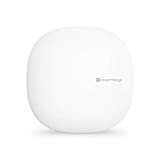 Range – With a reduction in interference, Z-Wave has an enhanced range that is also optimized by the ‘device leaping’ aspect of the tech. Bluetooth is the old hand in the world of wireless communication. In fact, it almost seems redundant to even discuss the benefits of Bluetooth technology. Bluetooth can be found in just about every technological device created in the past decade. Bluetooth offers a low-energy consumption baseline along with an affordable rate and industry standardization. With that being said, Bluetooth struggles with many things — including scale and interference problems. Making the Choice: Bluetooth or Z-Wave? When it comes down to it, consumers are going to have to prioritize what they find most important in their home security or entertainment setup. 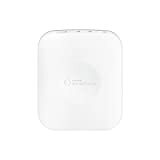 While Bluetooth has many positive aspects, the technology struggles in the areas that Z-Wave is optimized. For most common needs, Z-Wave will be the more efficient and effective choice and this is particularly true in the field of home security. No matter what technology consumers choose to rely upon, it is imperative that they pursue some sort of home security system. For those that are interested in taking their home security to the next level, contact Protect America for a free quote on a home security system.